Yesterday I have started a long journey through Europe with our Volkswagen camper. I will be taking a Heathkit HW8 and a spiderbeam mast. We will be travelling south without any particular plan. Will keep you informed of my whereabouts. Happy travelling Joop! I hope propagation improves for you as it isn't good now, though magical things do happen! Hi guys, I am now in Siena, I5/PG4I/P. Already made 2 QSO's on 40 with my endfed antenna. 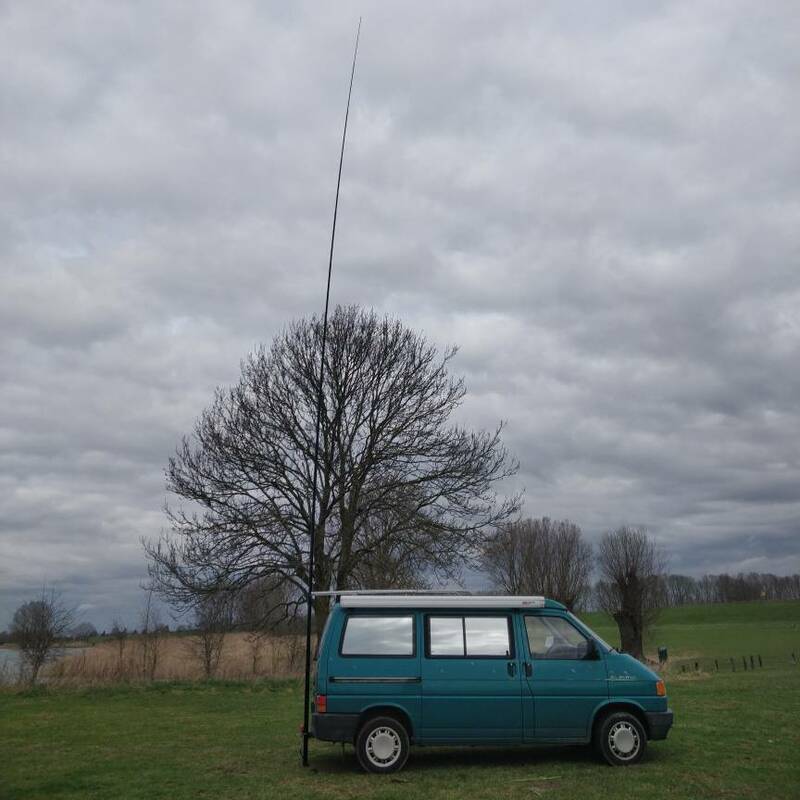 The campsite in Verona did not have enough room for antenna's. Look for me around 7030 kHz. I made a total of 9 QSO's this afternoon. Ukraine on 20 and OK, SP, DL, F and LY on 40. First time I have used the endfed, nice antenna! When the sun was going down I was observing the Reverse Beacon Network when calling CQ and was heard as far as Wales and Sweden on 40 meters. Here is a picture of me in my little outdoor shack! I might be staying in SV8 in a couple of weeks, one of your hangouts. Either on Corfu or Lefkada. I am now at Lago di Trasimeno near the town of Passignano, callsign I0/PG4I/P. I have spent some time on 40 yesterday, propagation picks up at around 17.00 GMT due to atmospheric absorption, which is about 2 hours later compared to Northern Italy. Did not expect that and it might get worse the more south we get..
We have arrived in Sicily on may 1st. On the North coast, near Milazzo I have done some listening on 20 meters. Signals from the middle East are much stronger then at home I noticed. We are now at the South coast, near Menfi. The Reverse Beacon Network picks up my signal okay, but at fairly low levels. Hope to make some contacts here. 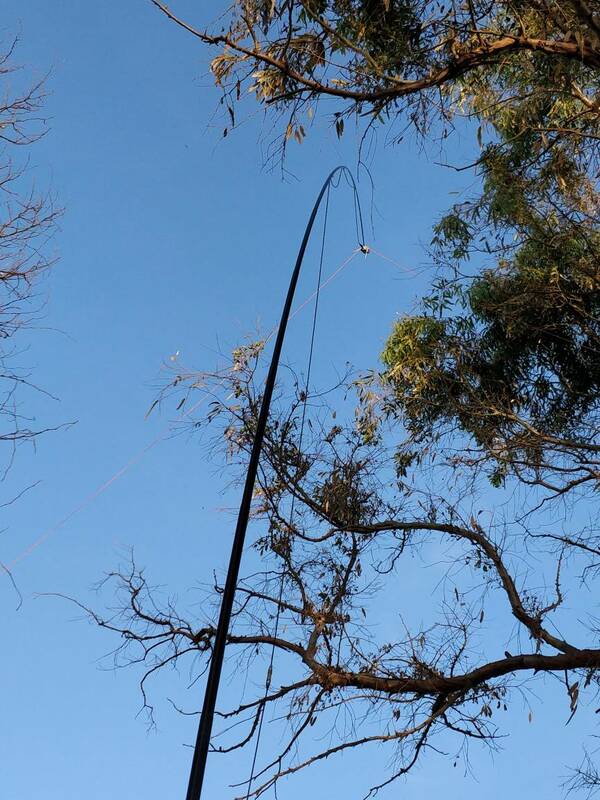 A quick update, 2 great evenings on 20 meters! It has been years ago since I heard so many stations from South-America! The band opens around 19z. There really is an advantage to living in Sicily... Stations from Brazil can get very loud. But I also heard CE, YV and LU. Signals from North-America are weaker. I made three 2-way QRP contacts, with G4EDG, IT9QAU and UY1IF. No DX QSO's... All with a 20 meter groundplane and 2 radials. Here is the last update from Sicily. No groundplane for 40 meters, it's an inverted vee! Very loud signals from all over Europe but also 4X. The 12 meter spiderbeam mast is sagging quite a bit! You are doing very well Joop! It is quite amazing what one can work from QTHs that are further south than our own ones. FB on working South America - I've heard very little from there for a while now and certainly no QRP.